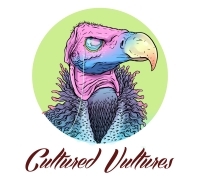 Join Cultured Vultures as we bring you some of the biggest news from the world of wrestling. Whether it’s WWE news or something from across the sea, let’s talk shop. Wait, there are NXT UK tag champions? Wonder if that guy who attacked Bret feels silly yet. What was your favourite moment from WrestleMania 35? Yeah well obviously there will also be beach balls. Matt is very much wildin' here. "...performers get over and foster a connection with the crowd long before they have a title to their name. And people who are unquestionably HOF worthy act as living proof." Every title is on the line as WrestleMania weekend officially kicks off. Yep, we really are calling a Big Show match underrated. From celebrity matches to those that just made us feel sad and weird, here are the WrestleMania main events that failed to deliver. Some are old, some are recent, but they are all classics.